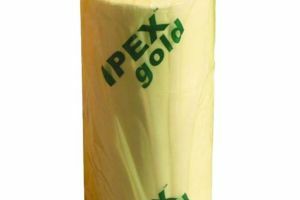 IPEX GOLD is an Australian made blown stretchwrap. It’s made with a high metallocene blend allowing for extreme puncture and tear resistance. Its adhesive layer offers excellent one-sided cling and works great in dusty environments where cast machine film can fail to cling.